Participating in sports gives kids an opportunity to be part of a family, mentored by caring and responsible adults, regardless of gender, size, ethnicity or socioeconomic background. Through our work teaching basketball at A&M Sports Academy, we created a series of 5 key tenets which we aim for all of our student-athletes to strive for: Confidence, Respect, Grit, Determination, and Loyalty. We have found that sports helps to instill teamwork, camaraderie, unselfishness, and leadership in participants. 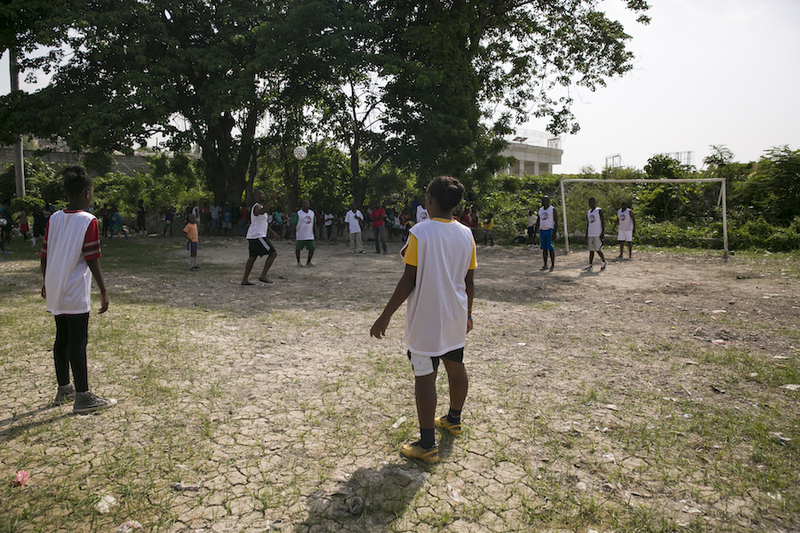 Additionally, in Haiti, sports play a key in building community. 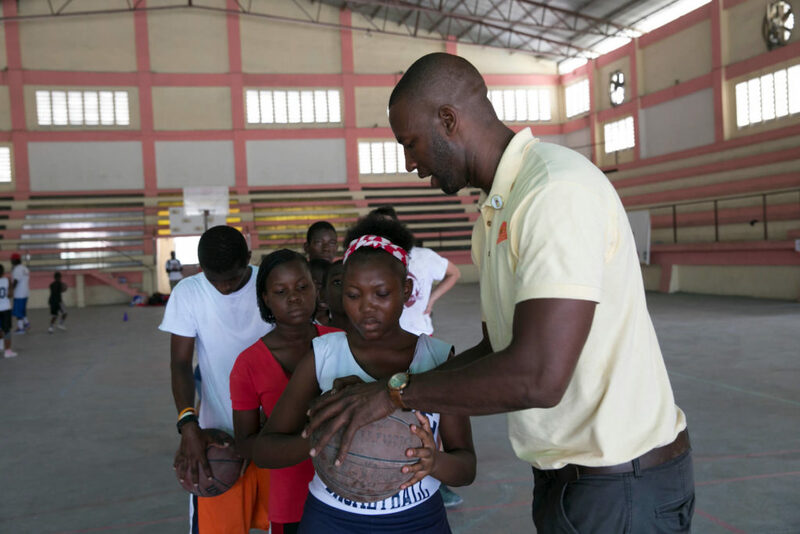 Since our first annual trip in 2014, we have led sports clinics throughout Haiti for kids of all ages and genders. We typically spend an entire day leading the workshops, instructing the participants through stretching, drills, good sportsmanship, fun games, and sometimes small tournaments. 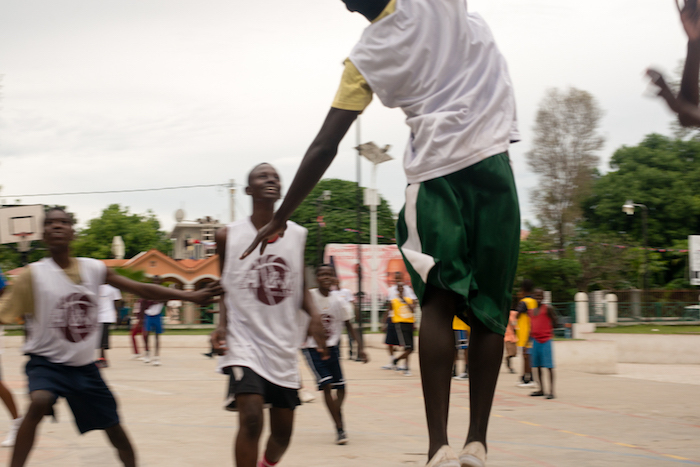 So far, we have focused on basketball and soccer, which are the two most popular sports in Haiti. 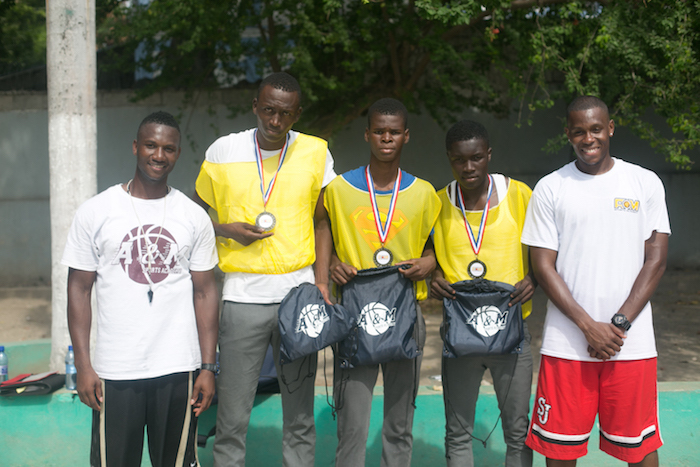 We have giveaways throughout the day of jerseys and backpacks for the kids, balls and other sporting equipment for the school or partnership organization, and each participant receives a medal at the end of the clinic. For our competitions, we always have a prize for the winners, which are often nice sporting shoes. These clinics are a fun and exciting way to engage kids in a positive and active way. Our hope it to teach them the fundamentals and give them the tools to encourage them to be active and work together through play even after the clinic concludes. 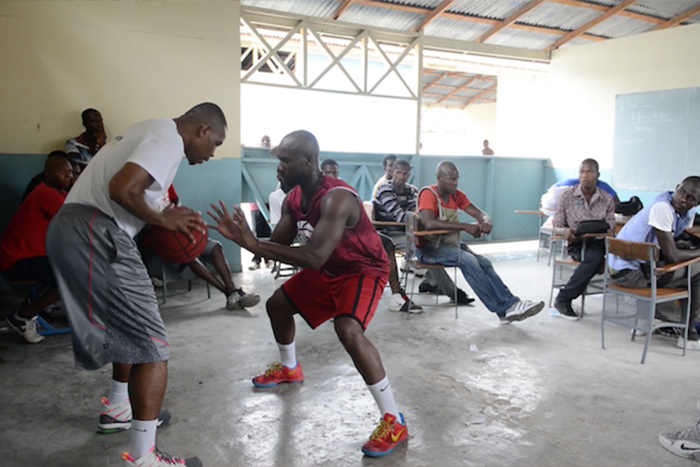 In the past, we have brought in professional and semi-professional Haitian athletes, such as Sebastian Petion, to assist in our clinics. It is a way for kids to learn from the best and see what hard work can accomplish. We also offer leadership and coaching seminars to adult teams. In addition to our clinics, we support local sports teams and organizations by donating uniforms and equipment that they are lacking. 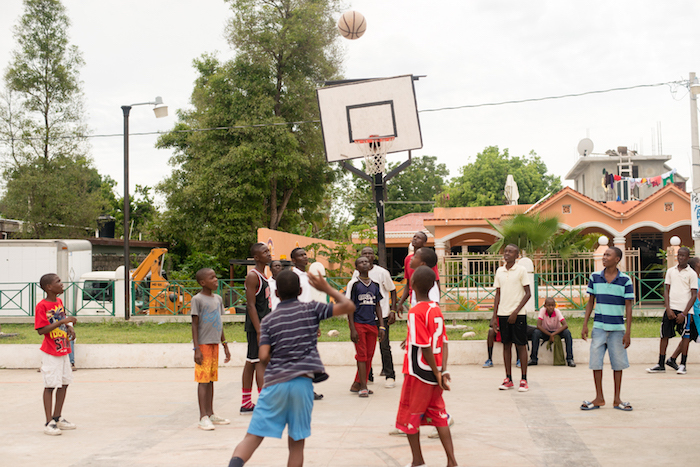 Primarily, we have focused on basketball and soccer because they are the two most popular sports in Haiti and the ones that kids are often the most excited about playing. We partner with the leader and coaches of the teams to learn what their greatest needs are. This may include jerseys, balls, soccer nets, basketball goals, cleats and sports-appropriate footwear and clothing. We try to provide each team we support with enough supplies for the entire team. Make a tax-deductible donation today to help us implement more clinics and host organized tournaments for local sports teams. If you are interested in donating uniforms and supplies, get in touch! We have partnered with local communities since 2014 to provide health clinics, hygiene supplies, and other resources to kids from all over Haiti. We rely on non-monetary donations such as sports equipment to give kids the resources they need both on and off the field. 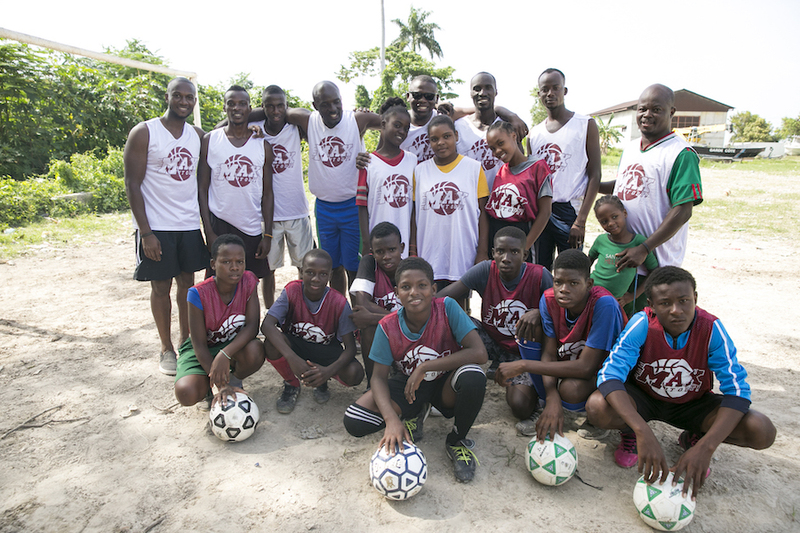 Our story begins after the devastating earthquake in 2010 when A&M Sports Academy founders saw the needs in Haiti. While our program runs year-round, our US-based team travels to Haiti each spring to implement new programs and initiatives.